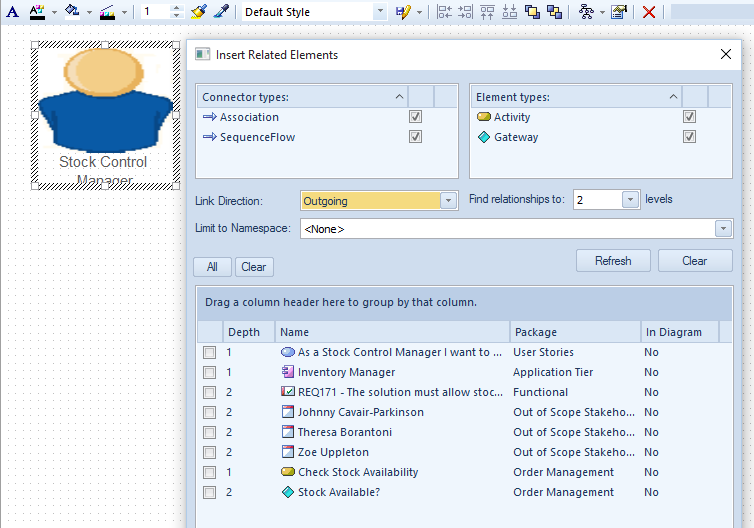 Insert Related Elements has a flexible interface that allows the modeler to configure what types of relationship to include in the discovery and the direction of those relationships, the types of related elements to be included, the depth of the graph traversal and more. 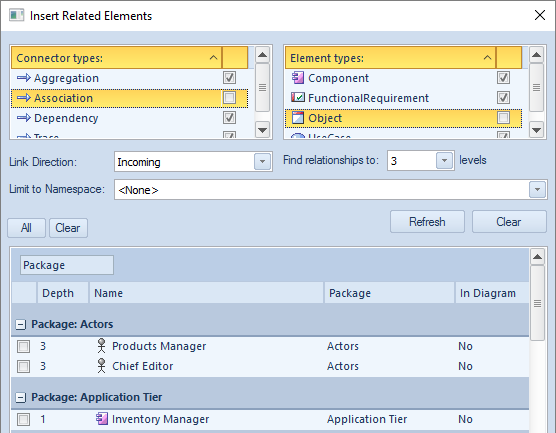 The related elements can be related to a specified namespace and once a set of related elements has been listed the modeler can choose which elements to insert into the diagram. A depth of 1 will just include the elements directly related to the context element, a depth of 2 will include the directly related elements and any elements directly related to them and so on up to a depth of 5.